Heavy duty floor register with fully adjustable metal damper, ideal in modern or traditional homes. 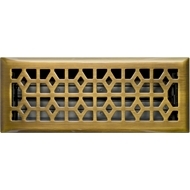 The vent style is suitable for modern and traditional homes. 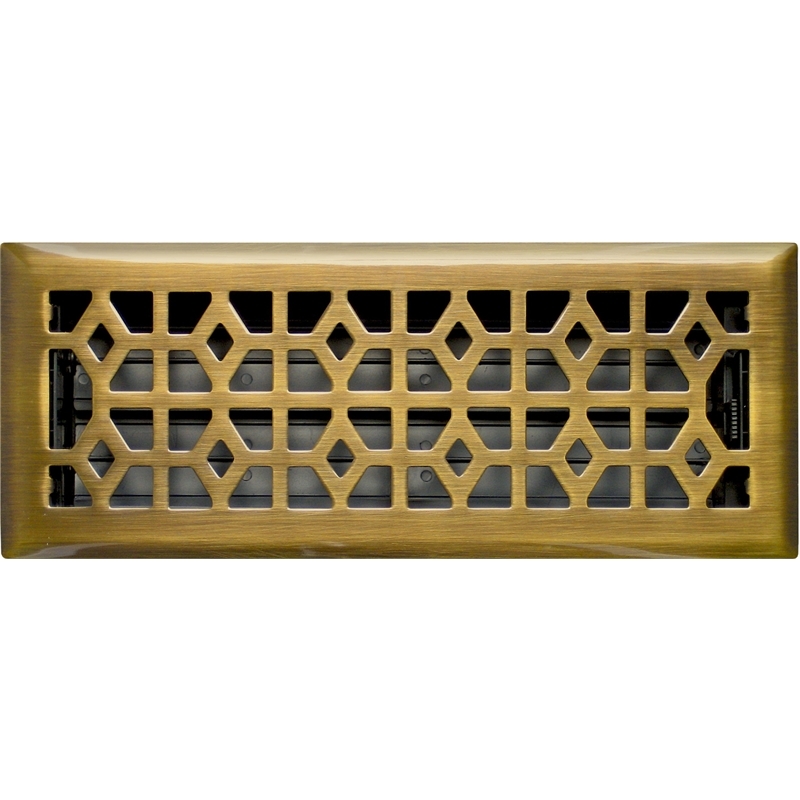 The thick steel face has an electroplated finish in an antique brass tone. The neck of the vent is 10 x 30cm and the face is 14 x 34cm - as there is a 2cm lip around the opening.